DE · Spinnentiere | LV · zirnekļveidīgie | PL · pajęczaki | RU · паукообра́зные Most of arachnids are terrestrial, but are also found in freshwater and, with the exception of the pelagic zone, in all marine environments. 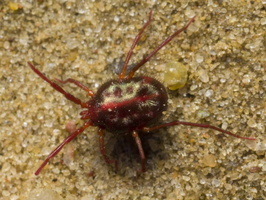 They comprise over 100,000 named species, including spiders, scorpions, harvestmen, ticks, and mites. 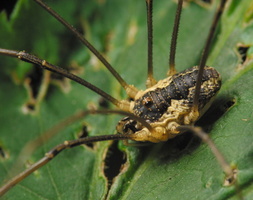 It is commonly understood that arachnids have four pairs of legs, and that arachnids may be easily distinguished from insects by this fact (insects have six legs or three pairs). Arachnids generally have a total of 6 pairs of appendages - two pairs of which have become adapted for feeding, defense, and sensory perception. The first pair of appendages, the chelicerae, serve in feeding and defense. The next pair of appendages, the pedipalps have been adapted for feeding, locomotion, and/or reproductive functions. 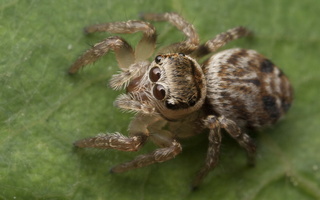 Arachnids are further distinguished by the fact they have no antennae and no wings.